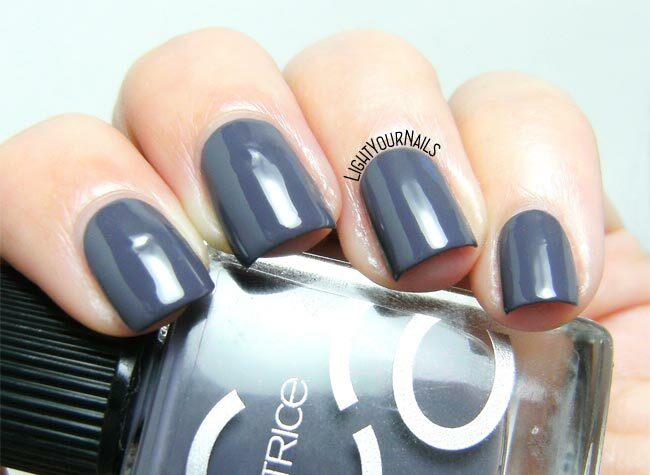 Catrice ICONails 19 Johnny Deep | Light Your Nails! 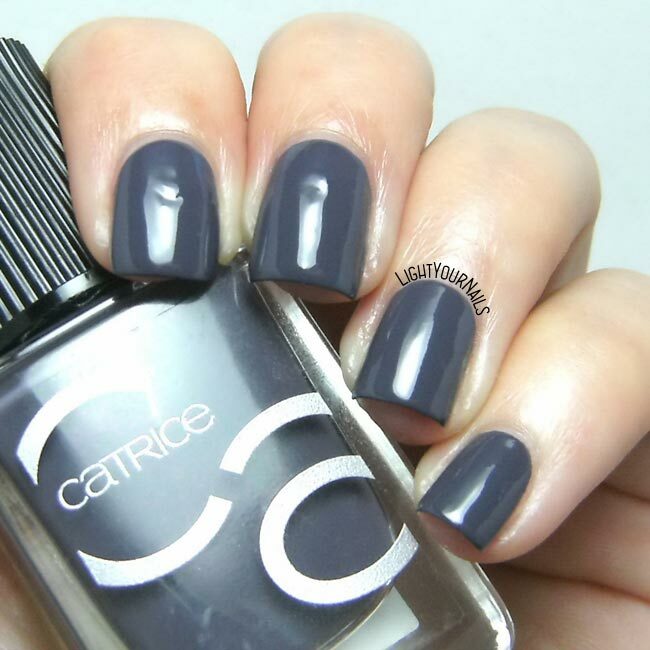 New Catrice nail polish and yet another dark shade. Aren’t you surprised by me? Today we’re gonna see Catrice ICONails 19 Johnny Deep. This shade is hard to explain. I can’t say if it’s a purple toned grey or a grey toned purple honestly. Both colours are quite visible and none of predominates. Application is very easy and coverage is perfect in two coats. Drying time is average and finish is glossy. I am a big fan of grey so I couldn’t but like this nail polish. Plus I always love a colour I can’t really understand! What do you think? Do you like Johnny Deep? Or even Depp, shout it out! This would be a cool base for some nighttime nail art! Molto bella questa tonalità di blu, mi piace! Io ne ho no simile di Layla che trovai qualche annetto fa come omaggio in una rivista! Questo è un grigio più che un blu. Mi sa che ce l'ho anche io il Layla che hai in mente! Gorgeous creme! I like Johnny Depp the polish and the actor! I didn't realize I love gray polish until recently. It's a great palate cleanser. I've always love grey polish! I remember having a very old Maybelline back when I was in my early teenage years! This looks like a great grey! Oh this grey is so fantastic! 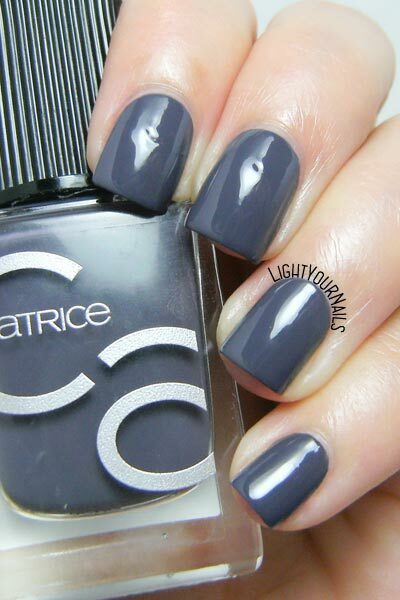 I need to find some Catrice polishes to try. I have had a crush on him since I ws 8? Haha! I think I was about 13 so I understand that! Ouuu. I would say it's a grey-leaning purple! Anche io! Sono molto calde!